The world of cooking oils can be very confusing. When to go with sunflower oil as oppose to olive or how about the benefits of rapeseed. Whatever you are cooking tonight, here's which oil you should be using. 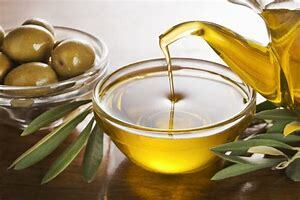 I'm lucky as our neighbour, Guy, has a villa in Crete with olive trees, and he regularly returns to the UK with a few bottles of his best olive oil for us to enjoy. It is ideal for dressings and as a dipping oil, but avoid it if your are cooking at a high temperature as it has a low smoke point. A good Greek Extra-Virgin Olive oil might set you back about £6.25. It is best for dairy-free baking but avoid it if you are deep-frying. A sunflower oil is cheap at about £1.25 a bottle. Ideal for use in home-made mayonnaise and for cooking crunchy roast potatoes. However, it has a distinctive nutty flavour, so if you are looking for a neutral tasting oil, then avoid it. 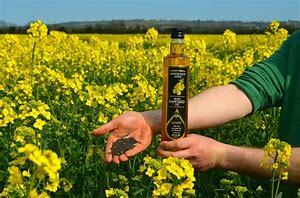 You can pick-up an Extra Virgin Cold Pressed Rapeseed Oil for £4.50. Sesame Oil is good for stir-fries and in Asian-style dressings but avoid it for cooking delicately flavoured foods. A bottle of toasted sesame oil will set you back about £1.80 from Sainsbury's. Great for dairy-free cooking, but if you are watching your intake of saturated fat, then give it a wide berth. 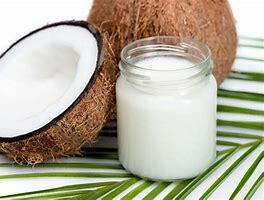 It's not cheap at £7 for Organic Raw Coconut Oil. A must for high-heat cookery such as grilling, as well as for salad dressings. But if you are not a fan of avocados, its not for you. Olivado Extra Virgin Avocado Oil is £4.50 in Sainsbury's.